7mm Titanium BCR//earring/nose ring in polished silver. 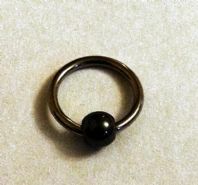 7mm titanium nose ring in polished silver with haematite ball. 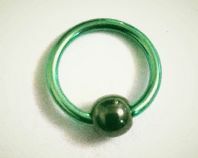 7mm titanium nose ring in green with haematite ball. 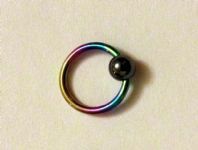 7mm rainbow coloured titanium nose ring with haematite ball. 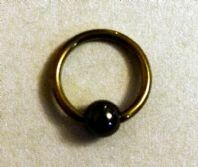 7mm titanium nose ring in yellow with haematite ball.